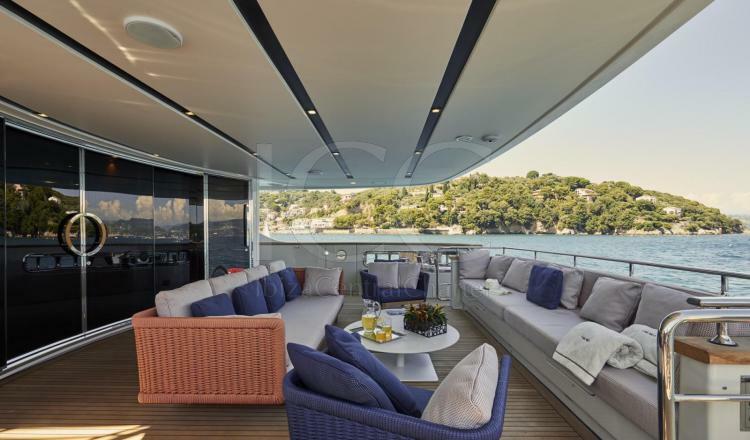 San Lorenzo 126 TAKARA detaches exclusivity and elegance in its 38 meters of length. 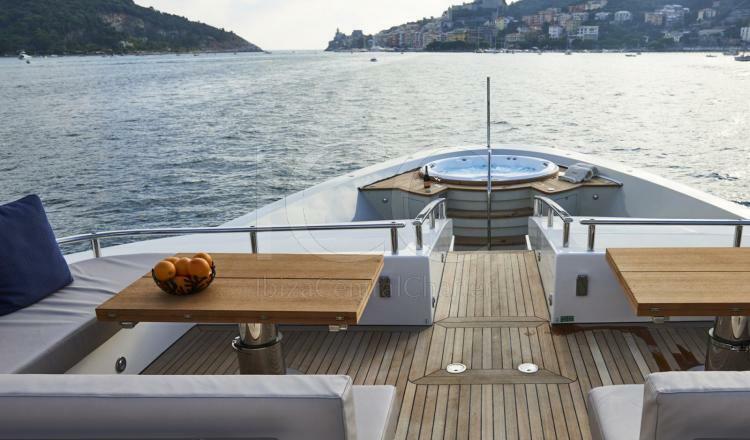 Sailing with this yacht is a pleasure for all sea lovers. 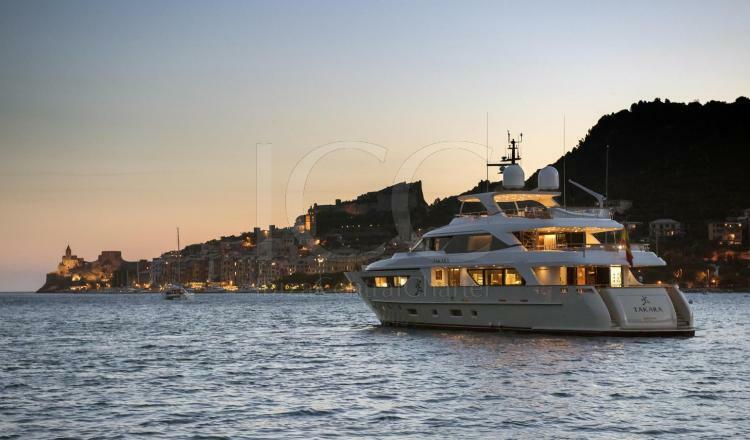 The San Loreno 126 is a motor yacht of 38 meters of length and four decks that gives off elegance and exclusivity. 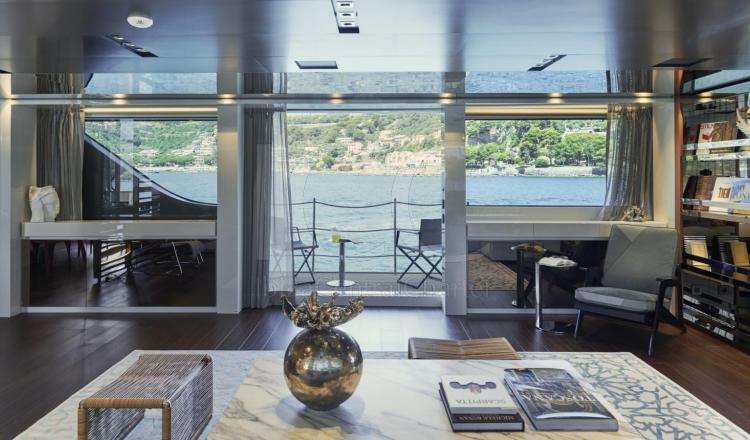 It offers a capacity for up to 12 people who can spend the night in its 5 cabins: 1 master located on the main deck, 1 VIP, 1 double and 2 twins located on the lower deck. All cabins have a private bathroom. Its distribution allows you to enjoy each area of ​​the ship. It has a large living room with television and large windows that allow light to enter and enjoy the beautiful views of the islands, interior and exerior dining room, fully equipped kitchen, and comfortable outdoor sofas to relax and sunbathe. 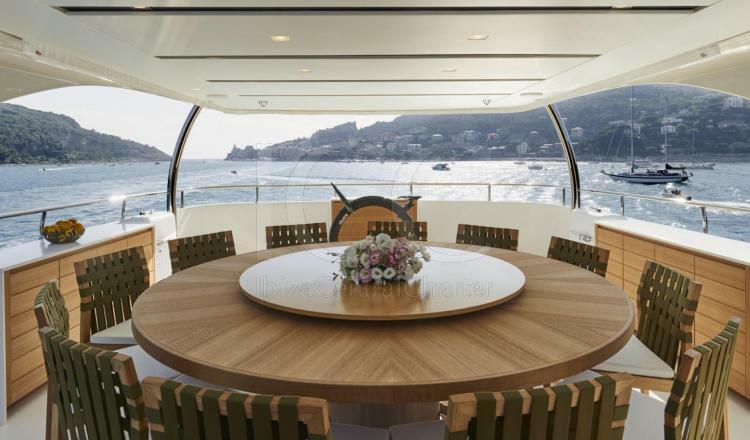 In the highest part is the flybridge with a large dining area to eat and regain strength outdoors. 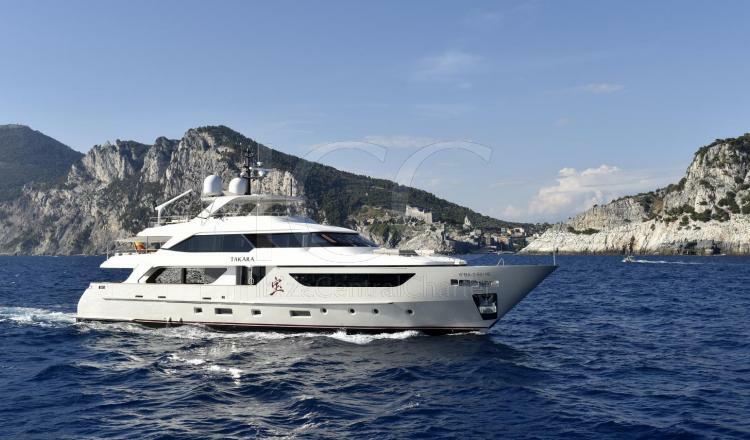 This yacht is equipped with a Jacuzzi and all the luxury of details as well as a great variety of toys: diving equipment, Seabobo F55, water skis, donut, paddle surf, snorkel equipment, etc. - Stay for 12 people. 50% when booking, 50% one month before charter.